Less than a month after it was announced that it was chosen as the Opening Night film at the prestigious 35th Los Angeles Asian Pacific Film Festival (LAAPFF) where it will make its World Premiere, ABS-CBN Cinematografo Originals Contest seed grant winner Yellow Rose was chosen by the Center for Asian American Media (CAAM) as the Centerpiece Narrative for CAAMFest37. A scene from the Cinematografo Originals film starring Grammy nominee Lea Sailing. The prestigious festival will take place from May 9 to 19 in the San Francisco Bay Area as part of Asian American Heritage Month. 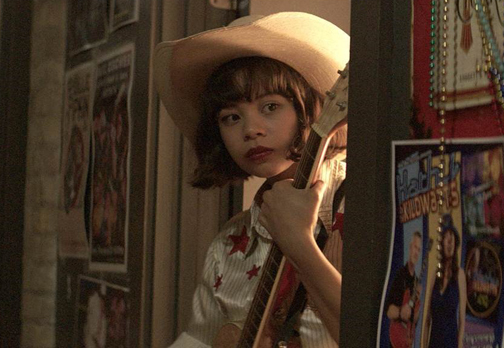 Written and directed by Filipino American award-winning film documentary and commercial director Diane Paragas, Yellow Rose tells the story of a headstrong Filipina teen from a small Texas town, fighting to pursue her country music dreams while facing the threat of deportation. Its CAAMFest appearance is its San Francisco premiere. The film stars Tony Award nominee Eva Noblezada, Tony Award-winning actress and Grammy nominee Lea Sailing, country music star Dale Watson, Liam Booth, Gustavo Gomez (The Walking Dead), Libby Villari (Boyhood), and Princess Punzalan, and features original songs written by Watson, Paragas, Noblezada and cast. Yellow Rose will be screened on May 11—AMC Kabuki 8, 6:00 p.m. and Thursday, May 16 – Piedmont Theatre, 9:00 p.m. during the festival.